Affiliate Yoga School - Rishikesh Yogpeeth offers 200 hour Yoga Teacher Training Course in Kathmandu, Nepal – Himalaya registered with Yoga alliance as RYS 200, 300 & 500. 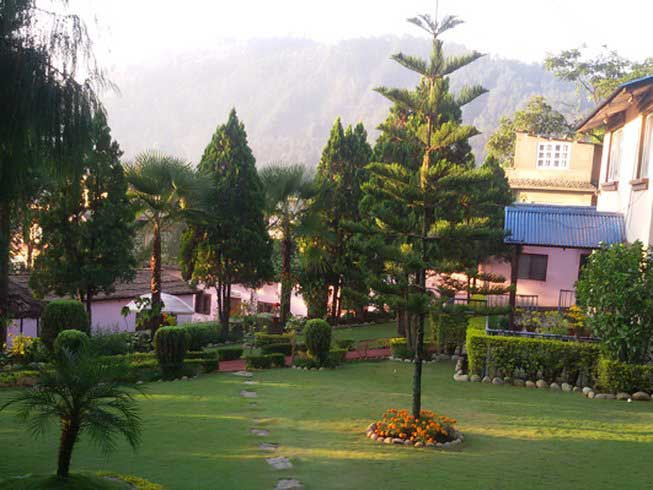 Natural beauty of this Himalayan valley and a long history of Yogic practitioners & seekers traveling into Himalayan regions make this place a unique destination to study Yoga. 200 hour Yoga Teacher Training course in Nepal is based upon Hatha Yoga Tradition, which is the foundational stone of all other advance practices of Yoga as Ashtanga Yoga, Kriya Yoga or Raja Yoga. Completion of 200 hour Yoga TTC allows participants to get register with Yoga alliance USA as RYT 200, which is the first level of registration require for anyone to teach Yoga. 200 hour Yoga Teacher Training certification is also a eligibility criteria for the participant to join 300hr Yoga Teacher Training Course, collectively it becomes 500 hour YTT Certification, which is one of the biggest designation under the minimum standard set by Yoga Alliance.